Whoever you are and wherever you find yourself on your journey this week, you can be part of our Dia de los Muertos celebration here at All Saints Church … by posting up a photo a memory of your loved one on our virtual Altar of Remembrance. "Dia de los Muertos" is a festive and colorful celebration in which we honor our loved ones as they were when they were alive. 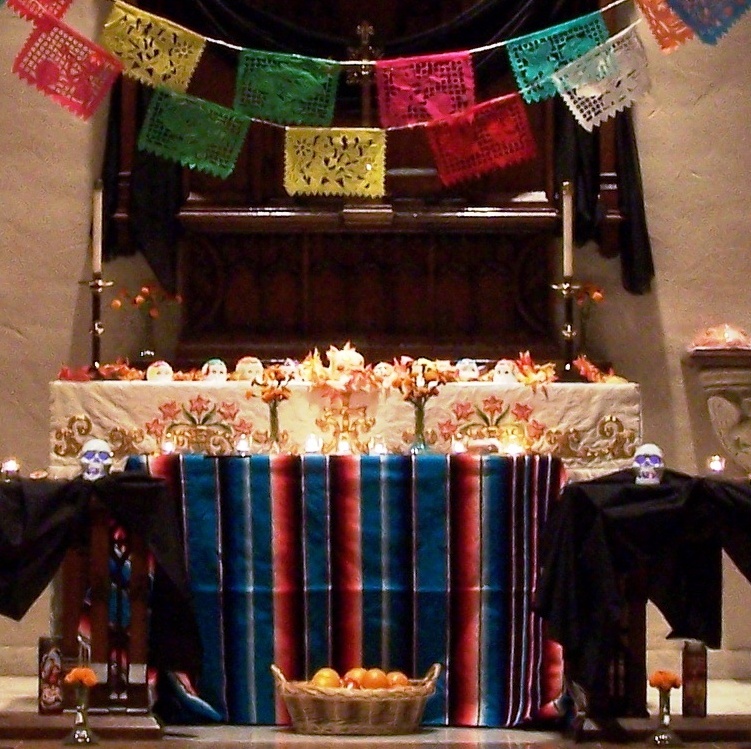 Particpants are encouraged to bring photographs, garments, flowers, favorite foods, stories, or other reminders of loved ones to decorate the Altar of Remembrance. The service will be held in the All Saints Chapel beginning at 7:30pm on Wednesday, November 2nd. Zelda Kennedy will preside. It is All Saints' custom on the Sunday following All Saints Day to remember with thanksgiving those who have died with the celebration of a Requiem Mass. 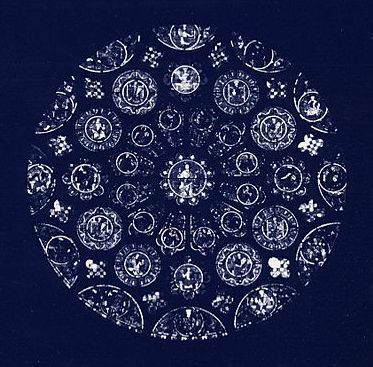 On Sunday, November 6, 2011 Coventry Choir will offer the Lux aeterna by Morten Lauridsen, accompanied by a chamber orchestra under the direction of James Walker. 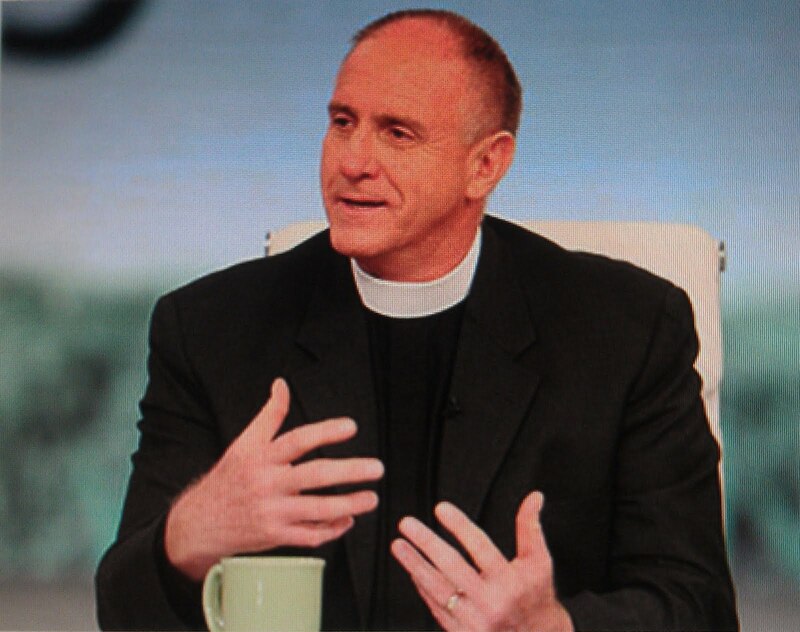 9:00 & 11:15 a.m.
With these issues ahead of us, please join me, Life and Livelihood, and other All Saints ministries on Saturday, Nov. 5 as we explore the values of dignity, equality, and hope for every human being. Special guest Kim Bobo, executive director of Chicago’s Interfaith Worker justice program, will be with us. We will take the day to examine the “new normal” and how best to respond to our unstable world with persevering faith, strength and hope. We’ll share a potluck lunch and fellowship. And together we will help move our parish toward an enlightened response to these challenging times. Please join in! 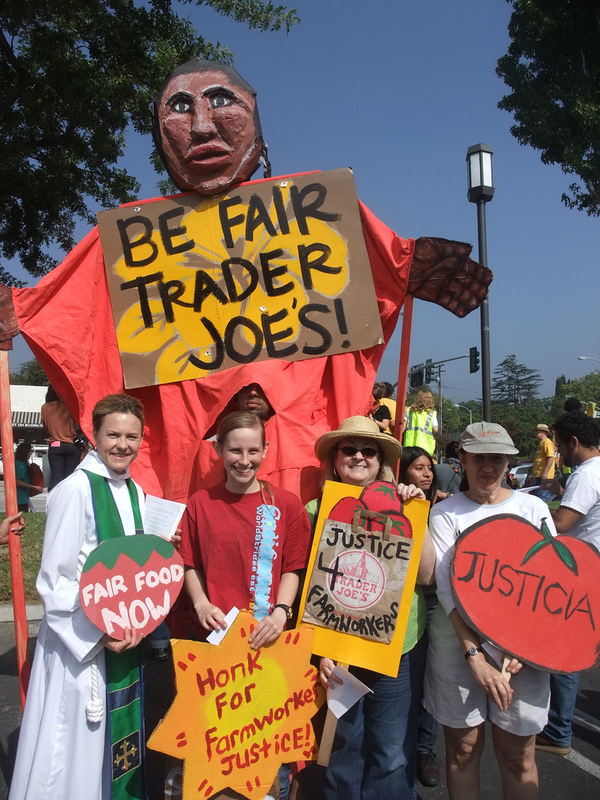 MONROVIA - At least 350 Florida tomato pickers and their allies marched to Trader Joe's corporate headquarters Friday, calling on the company to sign "a fair food agreement" with a community-based worker organization. Organizers called the afternoon rally the largest by the Coalition of Immokalee Workers (CIW) in California since the successful conclusion of the Taco Bell Boycott in 2005. CIW is an organization of mainly Latino, Mayan Indian and Haitian immigrants working in low-wage jobs throughout Florida. 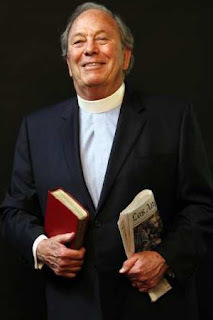 Patt Morrison Interviews George Regas on "Keeping Faith"
His church, All Saints Episcopal in Pasadena, came under IRS scrutiny seven years ago after he delivered a sermon on the Iraq war. 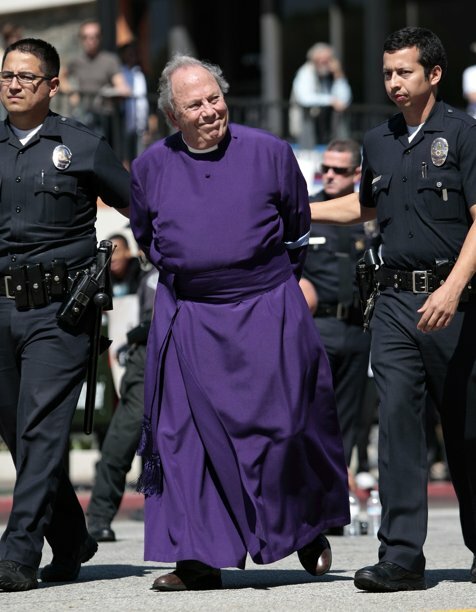 Yep, that was George Regas in that photo — the man in the purple ecclesiastical robe and handcuffs. The rector emeritus of All Saints Episcopal Church in Pasadena chose to get busted this month outside the downtown federal building protesting the wars in Afghanistan and Iraq. A few days earlier, scores of mostly conservative ministers across the country had deliberately defied the IRS ban on candidate endorsements by tax-exempt churches. Regas had tripped that wire inadvertently seven years ago, with a sermon that caught the IRS' ear and could have cost All Saints its tax exemption. He's retired from the pulpit, but time has not staled nor circumstance withered Regas' appetite for engagement. Read the rest of Patt Morrison's interview with George Regas here. 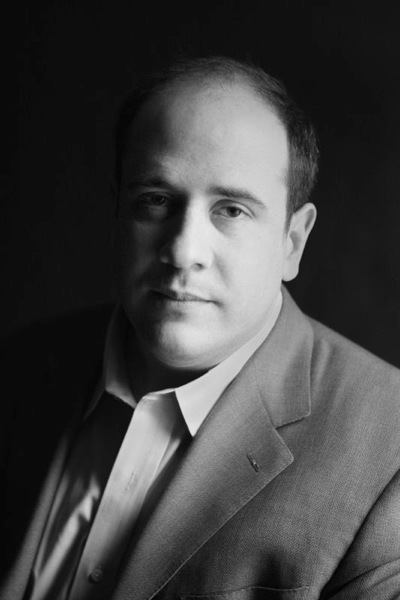 Jeff Sharlet, bestselling author of The Family and C Street, will discuss his newest and most personal book, Sweet Heaven When I Die, and his reporting on – and from within – the Occupy movement. Sharlet is Mellon Assistant Professor of English at Dartmouth and a contributing editor for Harper’s Magazine and Rolling Stone. In 2000, Sharlet teamed up with novelist Peter Manseau to create KillingTheBuddha.com, which has since become an award-winning online literary magazine about religion and spirituality. That led to a year on the road for Sharlet and Manseau, investigating the varieties of religious experience in America—a cowboy church in Texas, witches in Kansas, a Pentecostal exorcism for a terrorist in North Carolina, and an electric chair gospel choir in Florida. A frequent guest on MSNBC’s Rachel Maddow Show and NPR’s “Fresh Air,” Sharlet has appeared on HBO’s Bill Maher Show, Comedy Central’s Daily Show, NBC Nightly News, CNN, NPR, BBC, and other media venues. Jeff Sharlet delivers a fine dose of thoughtful skepticism in “Sweet Heaven When I Die,” his collection of 13 trenchant essays on how we gain, lose, maintain and blindly accept faith. The book belongs to the tradition of long-form, narrative journalism best exemplified by writers such as Joan Didion, John McPhee, Norman Mailer and Sharlet’s contemporary David Samuels. Sharlet deserves a place alongside such masters, for he has emerged as a master investigative stylist and one of the shrewdest commentators on religion’s underexplored realms. Copies of his books will be available for purchase. Jeff Sharlet in the All Saints Rector’s Forum | Sunday, October 30th | 10:15 a.m.
Members of the All Saints staff take a brief time out from their regularly scheduled "to do" list of turning the human race into the human family for a #SpiritDay photo op ... making God's Love Tangible to LGBT youth at risk by making today All Purple All Day @ All Saints Church! What’s a former District Attorney doing opposing the death penalty? 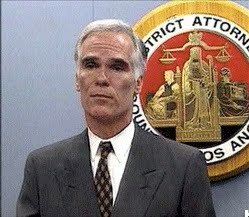 Those are the words of former Los Angeles District Attorney, Gil Garcetti. This Sunday in the Rector’s Forum we will learn Garcetti’s reasoning behind his thinking. Garcetti has given his support to the SAFE California Act, an initiative that would replace capital punishment with life imprisonment without parole. He believes that costs attached to the death penalty system are much higher than the costs for life imprisonment, and that the SAFE initiative will generate monies that can be used to bolster education and the juvenile justice system which will work to prevent crimes, making Californians safer. California voters now prefer life in prison without the possibility of parole over the death penalty for someone convicted of first degree murder by a 48% to 41% margin. Garcetti, who has prosecuted dozens of death penalty cases, is working to increase that margin. 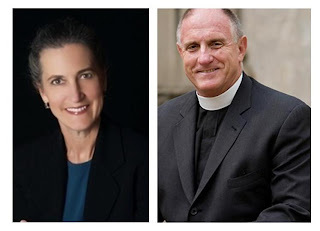 All Saints Church and the national Episcopal Church have long favored the abolition of the death penalty. Garcetti spent 32 years in the Los Angeles District Attorney’s Office, eight of them as the elected District Attorney. He has been a Fellow at the Kennedy School of Government, and is an award-winning photographer. He is developing a foundation to help Latino and African-American students to complete high school. Bring your questions and your concerns to this important justice issue. On Thursday, October 20 at All Saints Church in Pasadena the daily service of Holy Eucharist will be offered with special intentions for LGBT youth at risk and for an end to religion based bigotry and the healing of homophobia. We will join with millions of Americans who will wear purple as a sign of support for lesbian, gay, bisexual and transgender (LGBT) youth. Started by teenager Brittany McMillan to stand up against bullying “Spirit Day” embodies a commitment to create a world in which LGBT teens are celebrated and accepted for who they are. The service will be held in the All Saints Chapel beginning at 12:10 p.m. and the Reverend Abel Lopez will preach and preside. All are welcome. We could not be more thrilled to welcome back Jazz Giant and All Saints member Russell Ferrante to kick off our 2011-2012 Jazz Vespers Season. Russell has written with and produced records for: Bobby McFerrin, Michael Franks, Sadao Watanabe, Marilyn Scott, Eric Marianthal, and Sergio Salvatore among others. A founding member of the Yellowjackets, Russell will bring his extraordinary musical gifts to the All Saints Chancel for what is guaranteed to be another "don't miss" musical event. Sunday, October 23, 2011 | 5:00 p.m. in the Chancel. 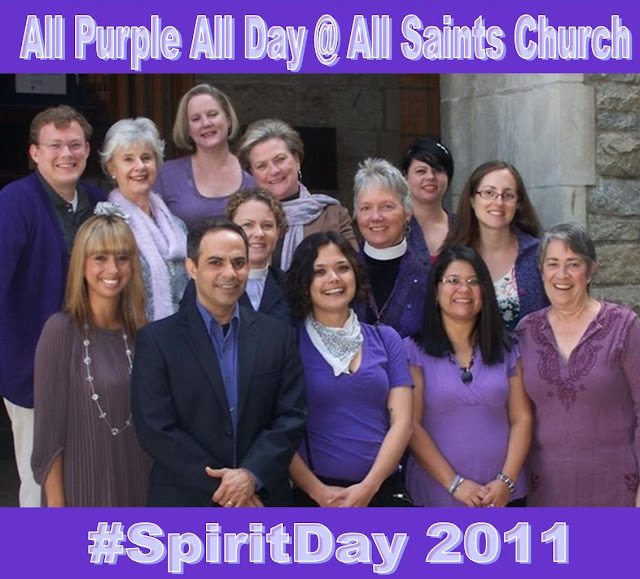 For more information visit www.russellferrante.com or contact Melissa Hayes, 626.583.2725 or mhayes@allsaints-pas.org. Last Friday -- October 7th -- Archbishop Desmond Tutu celebrated his 80th birthday ... and All Saints celebrated with this video birthday card. ENJOY! Sunday, October 16 in the Rector's Forum. Luis J. Rodriguez is convinced that a writer can change the world. Through education and the power of words Rodriguez saw his own way out of poverty and despair in the barrio of East LA successfully breaking free from the years of violence and desperation he spent as an active gang member. Achieving success as an award-winning poet, he was sure the streets would haunt him no more — until his 15-year-old son joined a gang. He was one of 50 leaders worldwide selected as “Unsung Heroes of Compassion,” presented by the Dalai Lama. In 2011 he is to be presented the “Spirit in the Struggle” award from East LA’s InnerCity Struggle for his commitment to social justice and for his dedication to issues affecting youth, families and community members, both locally and nationwide. 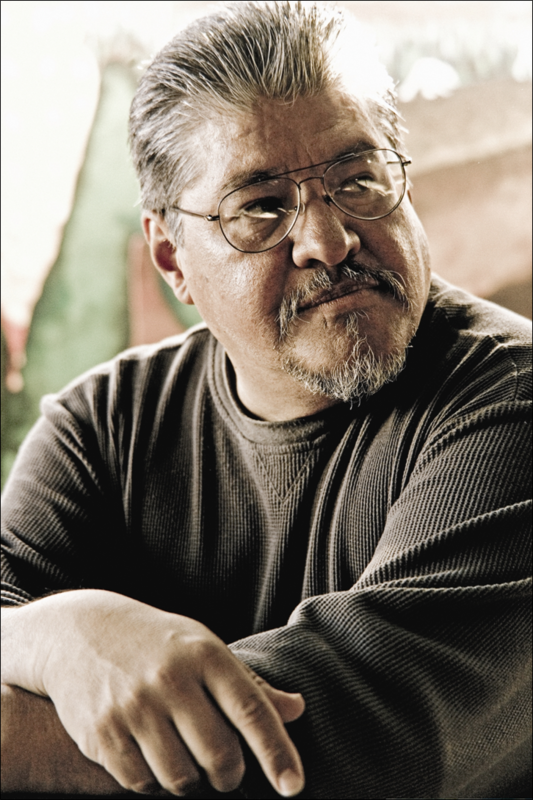 Luis is one of the leading Chicano writers in the country with fourteen published books in memoir, fiction, nonfiction, children's literature, and poetry. Luis' poetry has won a Poetry Center Book Award, a PEN Josephine Miles Literary Award, a Paterson Poetry Book Prize, among others. He is an inspiration to several generation of Angelinos and a recent visitor to Occupy Wall Street. His first book, the best-seller Always Running, is widely proclaimed as the definitive book on LA gang life. All Saints Voted Pasadena's "Best Place of Worship"
The annual Pasadena Weekly "Best of Pasadena" issue is out today ... and All Saints Church is honored to have been voted "Best Place of Worship" by Pasadena Weekly readers. Explore the other "bests" on the PW website ... and make this the week to say to a friend or neighbor, "Hey ... that was my church in the Pasadena Weekly this week. Come with me this Sunday and check it out!" When All Saints first began in 1883, services were held in members' homes. Two years later, the first Episcopal Church in Pasadena was built. 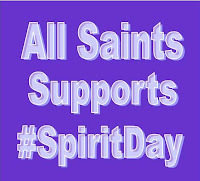 Today, All Saints is the cornerstone of several community-based programs and organizations created to meet the needs of all people, members or otherwise. All Saints helped found the Interfaith Communities United for Justice and Peace (ICUJP), an ecumenical group started in response to the Sept. 11 terrorist attacks, and has sponsored many other awareness events, including lectures and films. Our GALAS (Gays and Lesbians @ All Saints) group was well represented at San Gabriel Pride, held October 8th here in Pasadena. Pictured is Daniel Howell, staffing the GALAS table. 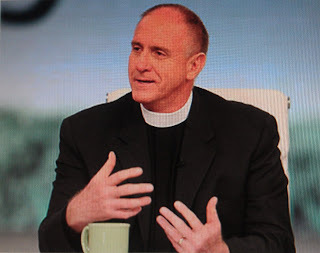 "Being Gay Is a Gift from God"
Those seven words – spoken to a call-in viewer from Atlanta -- set off a ripple of response that lit up Oprah’s switchboard, almost crashed our parish email server and continues to bring people toward us here at All Saints Church in Pasadena. And that moment continues to be for me an iconic example of how important it is for people of faith to confront discrimination against our LGBT brothers and sisters by standing up and by speaking out. It is why that on this Coming Out Day 2011 I believe it is no longer enough for LGBT people to come out and let the world know who they were created to be – although that continues to be a courageous and transformational act. It is time for Christians to come out and let the world see the Church as it was created to be – a vehicle of love and justice, not a bastion of bigotry and homophobia. It is time for people of faith to speak out against the religion-based bigotry that has for too long fueled the fires of homophobia that perpetuate violence against LGBT people and plants the seeds of self-loathing in LGBT youth. And it is time to take to heart the words of Rabbi Abraham Heschel, who famously said, “Few are guilty, but all are responsible.” I may not be guilty of the religion based bigotry that has wounded countless members of God’s beloved LGBT children but I am responsible for offering a counter-narrative to the lies that have been told about the God I serve – the God of love, justice and compassion. My faith tradition teaches that the truth will set you free – and the truth is: God Loves. The truth is: Love Trumps. And the truth is: Being gay is a gift from God. Everybody at All Saints seems to have a story about how deeply the church has affected their lives. Teri Valentine, a member of the Women’s Community steering committee, likes to tell one about her children. All of Teri’s children have been active in the programs at ASC. Her eldest, Katie Rayburn, who just left to attend the University of Arizona, was an acolyte. Sam Rayburn is a ninth grader, an acolyte and active in the Wednesday night program. Hazel Valentine is in fifth grade and sings in the children’s choir. “All Saints has had a very positive effect on the lives of my family,” she said. “I love the sermons. They are always inspiring. Church should help you get through the week. As my children have gotten older, they have also come to understand the lessons we get in the sermons.” Among the lessons she values most are that we are not here to judge other people and that it is important to help those who are less fortunate than we are. 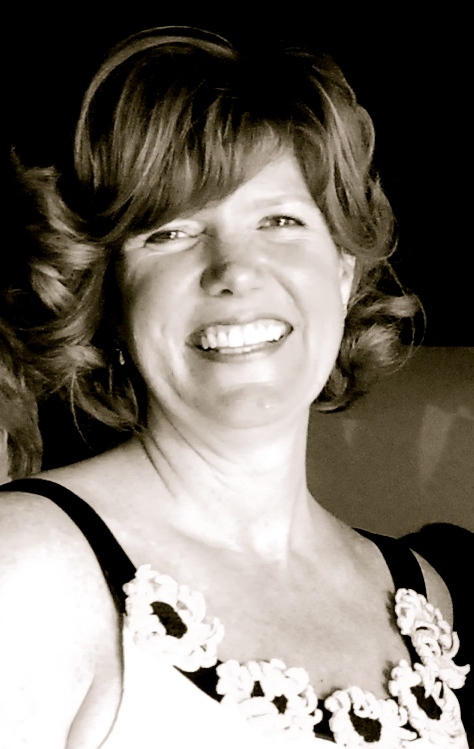 Teri began attending All Saints during the George Regas years, after moving to La Cañada. She was looking for a place to volunteer to help people in need. “I checked out some organizations in La Cañada, but they tended to keep their money in the local community and the people in La Cañada aren’t really in need,” said Teri. At All Saints she found a rich variety of ministries to support. She donated some women’s toiletries left over from a Girl Scout project to the Women’s Community and was recruited to serve on the steering committee. That was perfect for a busy mother, because the steering committee meetings coincided with the Wednesday youth programs. 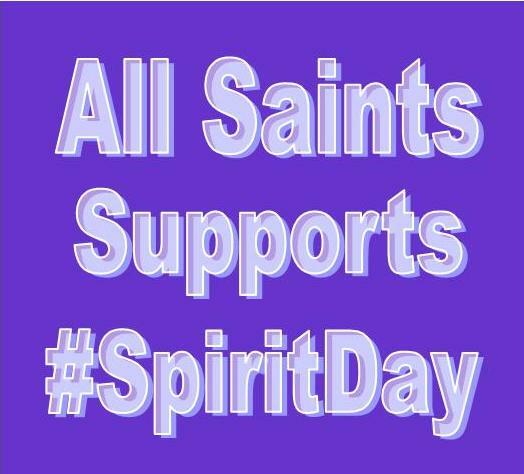 Donating money, as well as time, to All Saints is something that has increased for Teri over the years. Growing out of Teri’s wildly popular pastry kisses, The Perfect Bite Co now provides a wide selection of fresh and frozen foods to markets and specialty stores such as Gelson’s and Williams-Sonoma. It makes private label products for markets nationwide and also distributes products under its own labels. Parishioners have sampled some of Teri’s food at the annual Lunch of Compassion, which raises money for a different charity each year. It was originally a simple lunch of rice and beans, but Teri has expanded the menu a bit since she began donating all the food three years ago. “We still have the simple dishes and some vegan dishes, but I also include a few meat dishes,” she said. Because she donates the food, all the proceeds from the lunch can go to the charity. Your pledge makes it possible for All Saints to live the vision through the beauty of worship and the challenge of spiritual growth, through a wealth of stimulating and educational programs, and through outreach efforts to the parish, the community and the world at large. Pledge online at http://www.allsaints-pas.org/support/pledge/ or use the pledge card in the pew. Regas protests "war as the primary instrument of our national policy"
Singing "we shall overcome," the Rev. Canon George Regas and more than a dozen other anti-war protestors were arrested Oct. 7 in front of the Federal Building in downtown Los Angeles after rallying against the war in Afghanistan. Regas, rector emeritus of All Saints, Pasadena, and other clergy and faith leaders in vestments led the group, praying, chanting and singing, from La Placita past Los Angeles City Hall. He and others called for an end to the war and for the government to create jobs and to assist the poor. Noting that the Afghanistan war is the longest running conflict in U.S. history, accounting for the deaths of more than 1,700 soldiers, Regas said: "War versus jobs is a concept that really resonates with the American public. "We just want to hold up the concept that America must choose between a life of for all of its people, jobs for people, health care for people, taking care of the poor and the children as a priority -- that has a greater claim on us than the perpetuation of America as using war as the primary instrument of a national policy. "America is waking up to the fact that the enormous war machine trying to have dominance across the globe is a very costly reality as the country struggles to take care of the children and the poor and the unemployed. We want to do everything we can to nurture that growing dream of a country that puts the life of its people and the health and wellbeing and education of all its people above the use of instrument of war to accomplish whatever it is that we're trying to accomplish with our militarism." All Saints members were among those marking the 10th anniversary of the war in Afghanistan by demonstrating in Los Angeles for peace and jobs instead of war and violence. The event, sponsored by ICUJP (Interfaith Communities United for Justice and Peace) drew several hundred protesters and ended with acts of civil disobedience by a number of religious leaders, including All Saints rector emeritus George Regas. 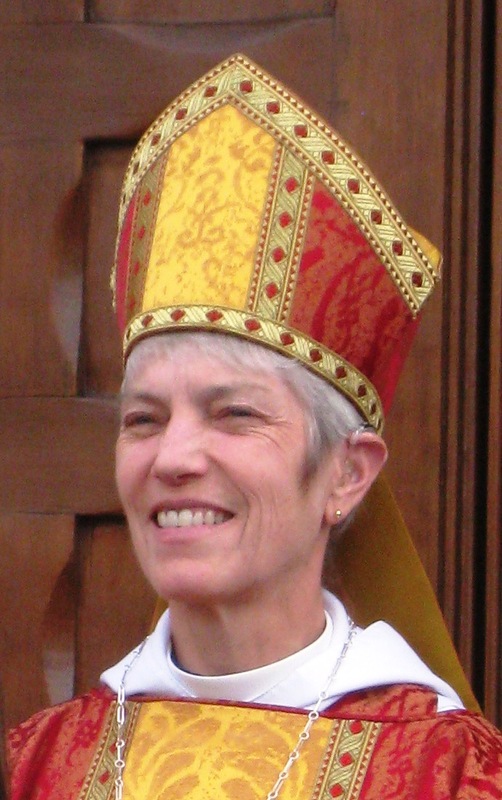 SUNDAY, OCTOBER 9, 7 - 10 p.m.
Bishop Suffragan Mary Glasspool will preside and preach. St. Luke's GLBT Ministry will provide a special reception after the service designed to continue a dialogue sparked by the evening of stories, music and prayer. The service will feature four individuals of various ages and experience sharing their coming-out stories, and how this experience has affected their spiritual journey ... including All Saints' own Vivian Varela. Christopher Gravis, Minister of Music from St. Wilfrid's Church, Huntington Beach has assembled a choral ensemble from all over the Southland which will provide musical interludes. New to this year's venue will be two banners designed for the event by award-winning photographer and visual artist Kurt Weston. Weston, legally blind due to AIDS-related illnesses, continues to have work featured in galleries and retrospectives across the United States. 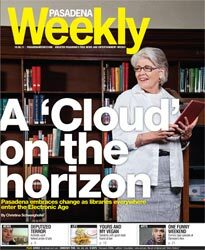 Jan Sanders: ASC Vestry Member & Pasadena Weekly "Cover Girl"
“It’s a funny book,” Sanders said recently, sitting in her office at the west end of Pasadena’s Central Library on Walnut Street. Sanders must know a good book when she finds one. She holds the post of the library’s director. In the United States, consumers — like Jan Sanders — are increasingly picking up Kindles and Nooks, and they are reading books on iPads and computers. Sales of e-books already outnumber those of hard covers as well as those of paperbacks. How will public libraries fare in this environment? Does the fact that Google is scanning the world’s 130 million books mean the end of libraries? 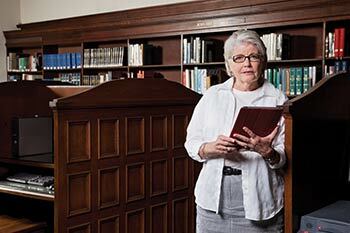 Will public libraries soon be obsolete? Sanders embraces digitization, believing that the e-book is the library format of the future. The statistics support Sanders’ theory. 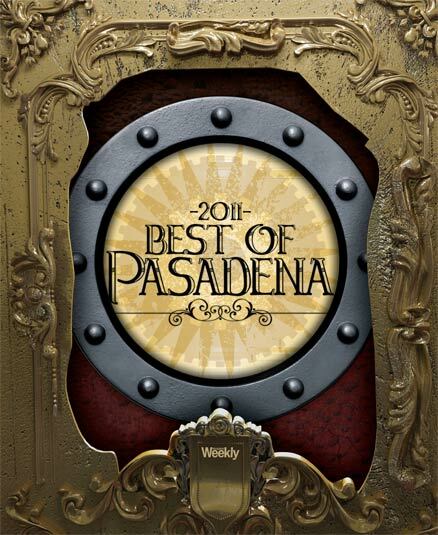 Pasadena’s libraries are seeing usage of e-books increase at a rateof 30 percent per month. Read the rest here ... and give thanks for visionary leaders like Jan Sanders who are helping imagine both All Saints Church and the City of Pasadena into the future! Virginia Classick, All Saints Peace & Justice Vestry Chair and ASC member Peter Laarman both participated in an October 4th press conference at West Hollywood City Hall, in the hope of bringing attention to the humanitarian crisis that is happening in California state prisons as a result of the second hunger strike. One of our actions on Sunday will be a letter to Governor Brown asking for his immediate intervention. Yesterday Amnesty International issued a powerful statement about the hunger strike and how inmates participating in the hunger strike are being treated. Read the statement here ... and stop by the Action Table on the lawn this Sunday to add your voice to those speaking out against the inhumane treatment in our prisons. In the midst of rising outrage over the state of the economy and a paralyzed-by-polarity congress do you wonder if a viable peace movement possible? Does the fact that Friday, October 7th marks the 10th anniversary of our war in Afghanistan boggle your mind? 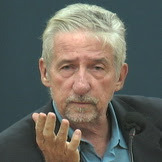 Then you will want to be in the Rector’s Forum on Sunday -- because former state senator and leader of sixties peace, justice and environmental movements, Tom Hayden has not lost heart. Come welcome him back to All Saints and hear his thoughts on ending what he calls “the unwinnable, unaffordable and unnecessary war” in Afghanistan. Copies of his books will be available. All creatures great and small ... and everyone in between! 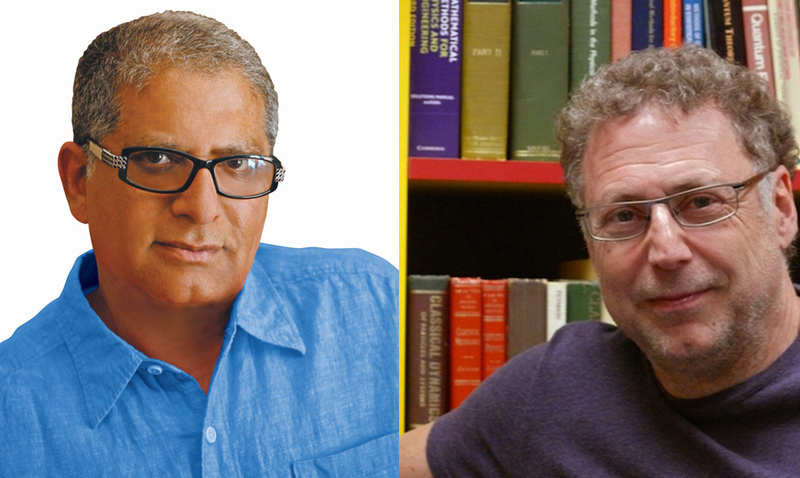 KCET, Live Talks Los Angeles, with co-presenting media sponsors KCET & KPCC, presents bestselling authors Deepak Chopra and Leonard Mlodinow ... who first met in a televised Caltech debate on "the future of God." One is an articulate advocate for spirituality, the other a prominent physicist. Their book War of the Worldviews: Science versus Spirituality is the product of that serendipitous encounter and the contentious-but-respectful clash that grew into the friendship between these two great thinkers. More information here, and $20 tickets here.